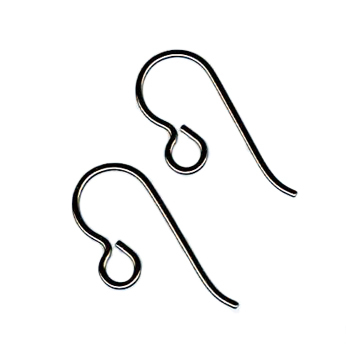 For those that prefer niobium, these french hook style ear wires can be used as replacement ear wires on silver earrings which have ear wires that cause an allergic reaction. These earwires are suitable for metal sensitive ears. Niobium, a rare earth element, is hypoallergenic like titanium.